The child we refused to allow to play footbool is now a parent who is faced with making a decision that is not popular with his child. Although we would do anything to make our children happy, sometimes we have to follow our instincts, be strong, and hope that some day our children will realize those decisions were made out of love. I think that someday has come for my child. You made the right call. I know it was hard for all of you, but the intensity of parents is only the beginning of what’s becoming an overly-aggressive sport. Kids aim to please and if they’re constantly hearing the “hit ’em” and “go go go!” from the sidelines, their focus becomes the achievement, rather than the fun. I also blame the “everyone plays” mentality in some sports to contributing to the heavy hitting in full-contact sports when you actually have to have a talent in order to participate. We coddle our kids by letting them know they’ll take part in every game at some point and that the score doesn’t matter. When they finally evolve into a sport where score DOES matter and playtime is NOT guaranteed, they have to fight for a spot. It’s sad…but so true. I am sure he’ll forgive you in time. Completely agree with you. Don’t worry about what the “majority” think, you’re often in good stead being in the minority in regards to many issues. For me and my family it was a no-brainer. I don’t feel the need to live through my kid’s “glory”. 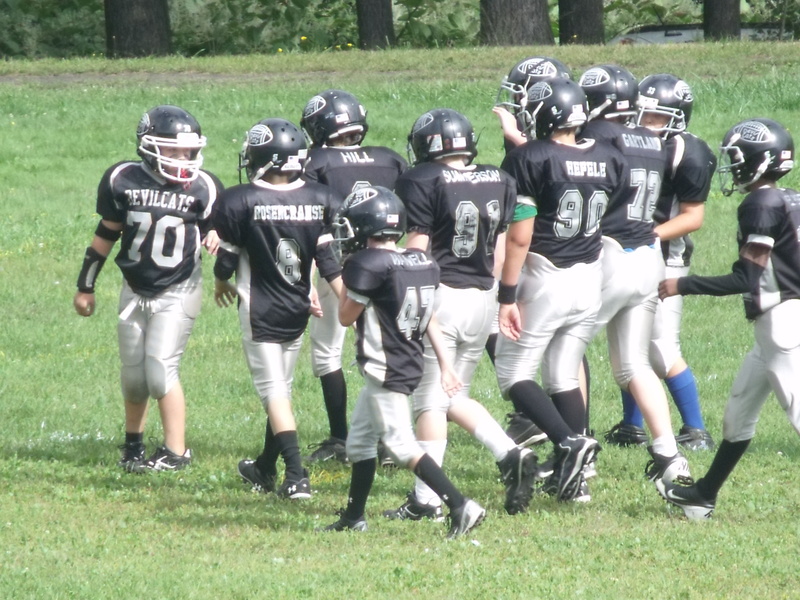 The choice to play may be right for some and that is their choice to make, however, factoring in my son’s size, football doesn’t seem like a good fit.